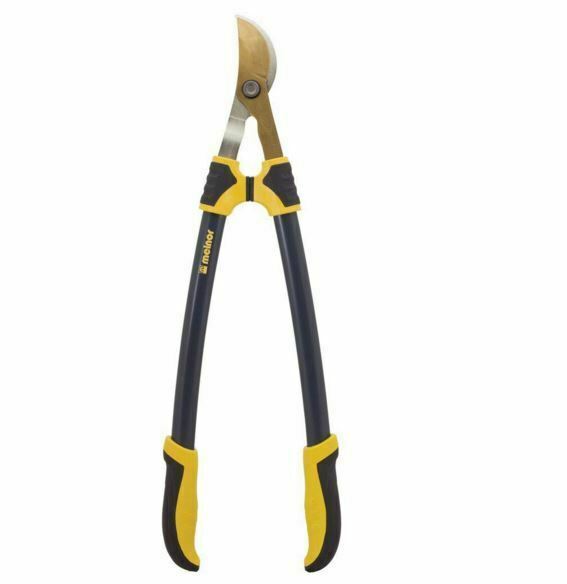 The Melnor Bypass Lopper features an arched shaft design, providing more cutting power with less strain. This unique design makes even tough garden and yard maintenance easier. The Bypass Lopper also features high carbon steel blades - among the sharpest and longest lasting blades available. Combined with the titanium cutting blade, this lopper will provide years of durability, strength and reliability. The comfort grip and shock absorbing cushion bumper provide additional support for those all day maintenance chores.